When hard Teamwork and Team spirit are the keys to success, it is also called UGPM! Team Champions, gold and silver winners at the Individual Championship and runner-up for handicap; all four victories went to UGPM! Bravo Team!! Our amazing players won not only the Spanish University Championship 2017, but also our captain Víctor Pastor won the Individual Championship along with our player Andrea Gobbato who finished runner-up. Additionally, Elías Azzam ended runner-up too, in the Championship by handicap. What an amazing and satisfactory start after the Easter break with such a well deserved victory at the Spanish University Cup 2017, winning in all played games! 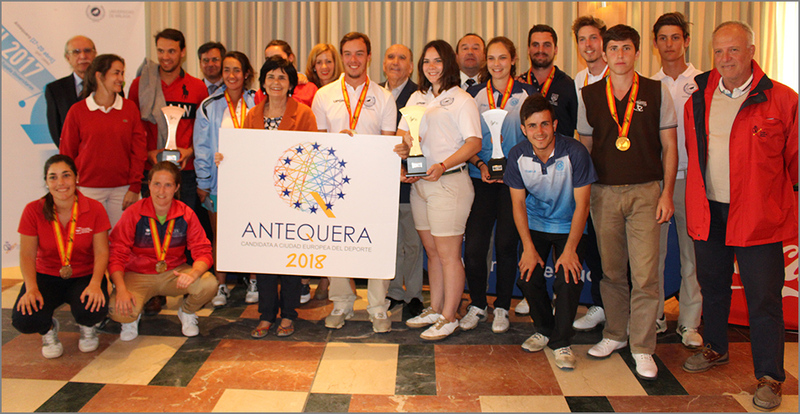 The University Championship 2017 took place in Antequera Golf from the 18th to the 20th of April with the participation of 58 golfers. UGPM was already creating high expectations before the Championship knowing the attendance of our captain Víctor Pastor, runner-up of the Spanish University Cup in 2016, alongside with our extraordinary players Manuel Geier, Elias Azzam, Christian Asensio, Andrea Gobbato, Jose Maria Cabanes and Juan Muñoz. Without of a doubt the UGPM team has obtained a triumphal victory in all played games! Keep up with your talent and constant dedication to golf!